SEO for enterprise companies brings its Fortune 1000 clients big benefits that go beyond high SERP placement. As a Top 10 nationally ranked enterprise SEO company according to TopSEOs.com, we’ve compiled a list of 8 of the biggest benefits. These include everything from global to local marketing as well as how SEO reveals data that informs all elements of the organization. Local search continues to grow and a lot of it’s done on mobile devices which make up more than 50% of all search queries. This means businesses that focus on local markets have an advantage in organic search results. For an enterprise to compete locally, it needs to connect its messaging with local needs, preferences, and even search styles. Local SEO strategies connect brand goals with the local market demand to create opportunities for highly targeted marketing efforts. SEO gives enterprises the ability to manage – and to a great degree control – company and brand content found online. This includes brand messaging, but also potential negative information too. Optimized organic pages can have a big impact on paid search cost per click rates. For enterprises, even a small shift can create millions of dollars in saving – and even more in revenue! SEO metrics reveal deep insights into a target market and a brand’s wider audience. Social marketers and social consultants can take this data and apply it to their social media campaigns to deliver relevant and desirable content to build customer-brand relationships and greater interaction. Links to other respected and influential sites add credibility to every business, and this includes enterprises. Where SMBs look to use links and SEO to establish industry authority and become more widely known, an enterprise in many cases needs to overcome its “big-ness”. Being big isn’t enough to be an authority and, fair or not, can lead some consumers to become skeptical of a brand’s intent. Links and interaction with influential and independent sites counteracts the potential downside of being big. To create new opportunities, enterprises need to connect with the humans behind them. As with authority (#5 above), SEO strategies promote brand messages to build trust and relationships. As most enterprises are invested in a diverse number of marketing strategies, SEO helps to promote these to get the most out of every effort. Links work really well to connect content with more customers and YouTube can draw more life out of media originally done for other marketing channels. And as noted before, SEO data can reveal trends in user behaviors to inform other marketing efforts for greater results. User search patterns can uncover new opportunities for current products or reveal opportunities for new products in line with a brand’s message and goals. A good SEO strategy combined with linking can tap into new audiences and introduce current or new products. SEO offers big benefits and opportunities for enterprises. SEO strategies can be applied for revenue growth, cost savings, brand messaging or any of many other reasons. Ultimately, the most successful SEO campaigns align with the enterprises short-term and long-term goals and contribute to an enterprises overall marketing efforts. 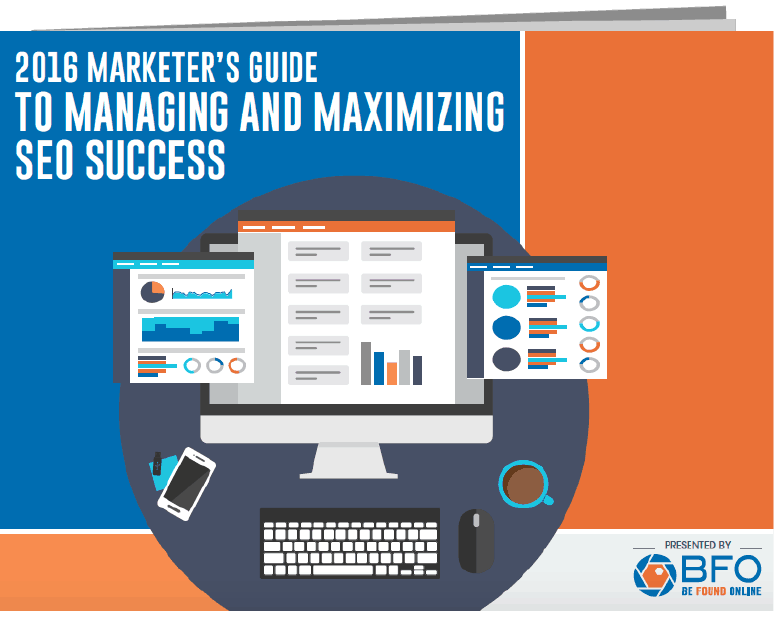 To learn more about Search Marketing methods that can draw customers to your site and put dollars in your wallet, check out our ebook The Marketer’s Guide to Managing and Maximizing SEO Success.